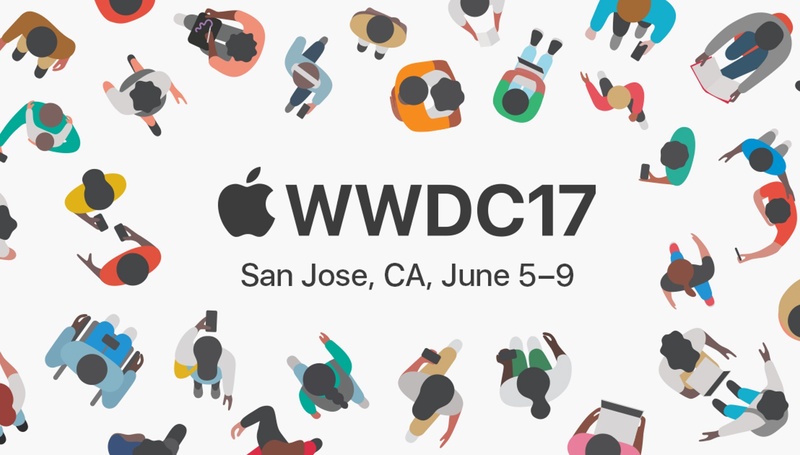 Make no mistake, WWDC is Apple’s developers conference. Its primary mission is announcing what’s coming next to Apple’s operating system line up. That said, hardware is not out of the question. This year’s keynote had an unusually large amount of hardware across 5 different product categories. Three of those were completely new or radically redesigned. With as Mac focused as it was, we’ll start there. The big redesign updates to Apple’s notebook range happened in 2015 and 2016. 2017 is spec upgrade to Intel’s latest 7th Generation Kaby Lake Core CPUs. The 12-inch MacBook remains the only Mac in Apple’s lineup to use USB-C only instead of USB-C + Thunderbolt 3. Its price also remains the same. However, its specs are now worthy of its price tag with a very useable 8GB of memory and a 256GB hard drive. Unlike the 11” MacBook Air, this can be your everyday computer. The low end model comes with 256GB of SSD storage and a 1.2ghz dual core Core m3 for $1299 while the high end model has a 1.3ghz Core i5, and 512GB of storage. Both have 8GB of Low Profile DDR3 memory and Intel HD 615 Graphics. Both models are now shipping. Like its little brother, the 13 and 15 inch MacBook Pros got an upgrade to Kaby Lake. With the exception of a new 13” 128GB model to effectively replace the low end 13” MacBook Air, there is not a whole lot different from the 2016 models except for CPUs and graphics. Same configurations, same price points, same storage options, same upper limit of 16GB DDR3. For 2017 the 13” models come with Iris Plus 640 and 650 integrated graphics while the 15” models get your choice of a 2GB AMD Radeon Pro 555 or 4GB Radeon Pro 560. 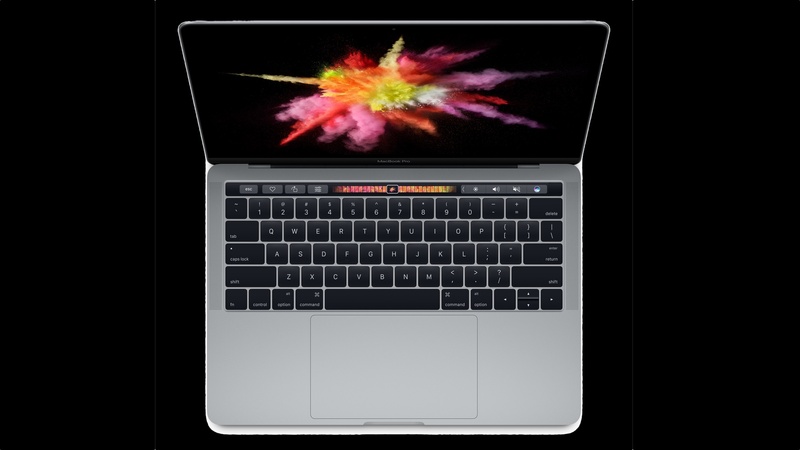 The Non-Touch Bar 13” has a 2.3ghz Dual Core i5 CPU and gives you your choice of 128GB of storage for $1299 or $256 for $1499. The Touch Bar 13” comes with 3.1ghz Core i5 in $1799 for 256gb or $1999 for 512GB. The 15” model comes in at $2399 for a 2.8ghz Quad core i7, 256GB of storage, and the 2GB Radeon Pro 555. The higher end model comes with a 2.9ghz CPU, the Pro 560, and 512GB of storage. Addition options are available BTO. They ship today. 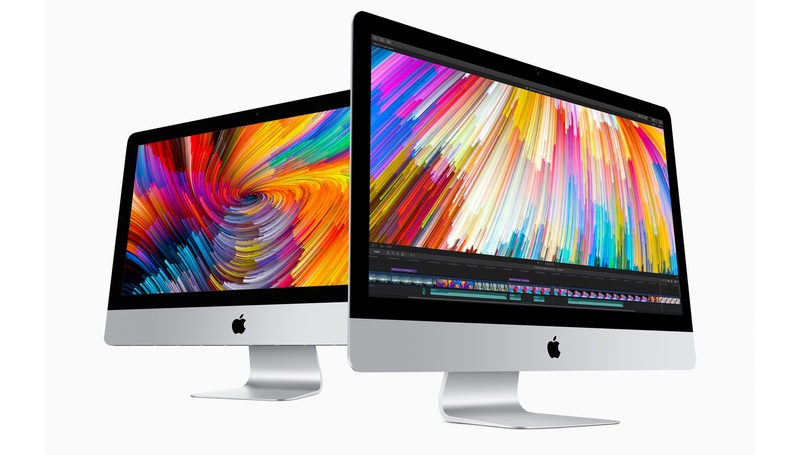 All ranges of the iMac got their first big update in quite a while. Like the MacBooks, they get Kaby Lake, albeit of the desktop variety. They come in 3 Different models: 21.5” Full HD, 21.5” 4K, and 27” 5k. All models of the iMac have been upgraded with modern I/O. No matter what model you choose, you get 4 USB 3.1 Type-A connectors and two Thunderbolt 3 ports as well as a SDXC slot, Gigabit ether, and the standard 3.5mm headphone jack. With the exception of the Full HD model which has the Intel Iris Plus 640, all iMacs for 2017 come with dedicated Radeon Pro 500-series graphics. The 21.5” 4K model gives you the choose of the Radeon Pro 555 or 560; the 27” 5K offers the Radeon Pro 570, 575, and 580. The displays are 43% brighter than previous models and display up to 1 billion colors. The new iMacs are shipping now. 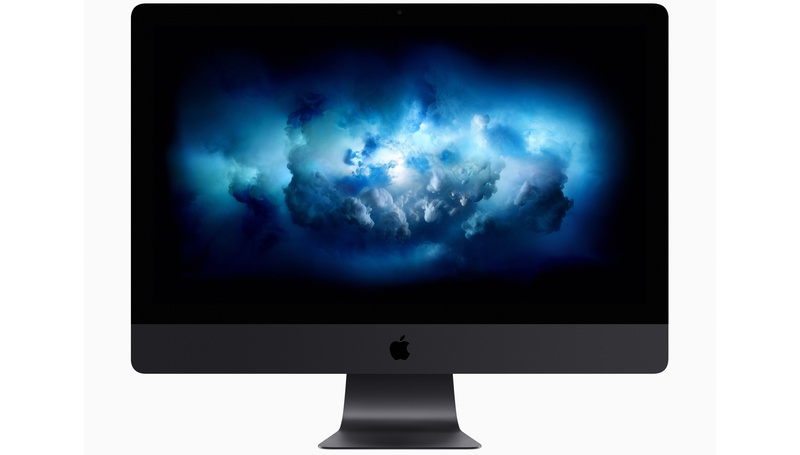 The Full HD model starts at a very affordable $1099 while $200 more gets you the entry level 4k iMac. The 27” 5K starts at $1799, BTO options give you up to 32GB of storage and 1TB of SSD storage or 2TB of fusion drive storage. If you want the Trash Can Mac Pro in an iMac, your wish has been granted in the iMac Pro. This Space Gray Beauty shares its screen and looks with the 27” 5k iMac, but that’s all it shares. Internally, its pure workstation. The iMac Pro gives you the option of 8, 10, or even 18-core Xeon CPUs. Ram has a very tower-like 128GB maximum of 2666mhz DDR4 error correcting memory. Storage is all SSD with up to 4TB. Graphics are provided by workstation class Radeon Vega-series chips with up to 16GB of video memory. While the normal iMac had 2 Thunderbolt Ports, the Pro doubles it to 4. Those four can drive up to two additional 5K displays in addition to its own. To top it off, the iMac Pro comes standard with 10 gig-E ethernet. In short, this is not an iMac pretending to be a workstation. 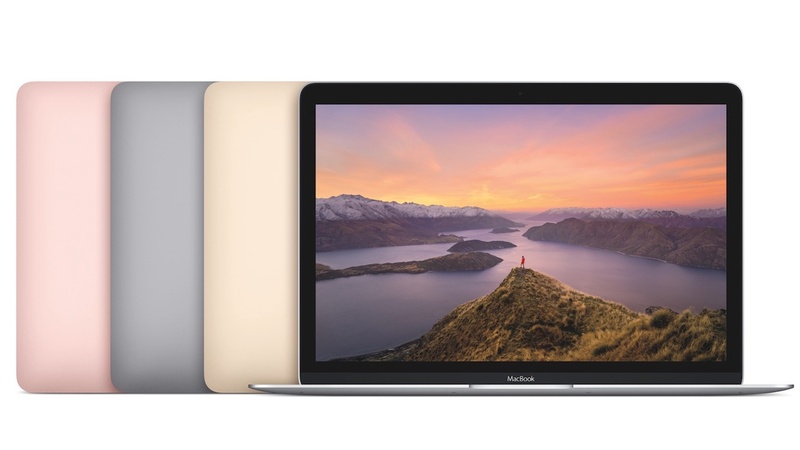 Quite the opposite, its a workstation trying to pose as an iMac. When shipping it also has a workstation level starting price: $4999. It’ll come in December. Make no mistake, this is the fastest and most advanced computer Apple has ever made. The iMac Pro wasn’t the only Pro model Apple’s introduce today. The iPad Pro got an update as well. Both models were upgraded with the 6-Core A10X fusion system on chip with 12-core GPU and high end displays with ProMotion technology for an an active refresh rate up to 120hz. 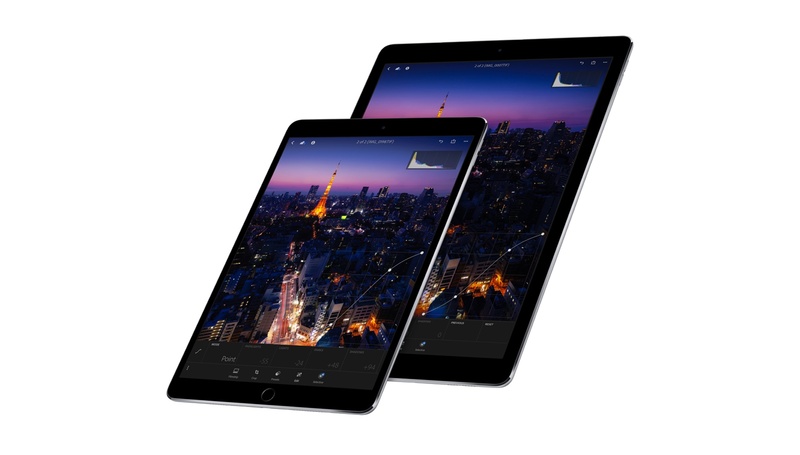 the iPad Pro comes in two sizes: the 12.9” starting at a familiar $799 and a 10.5” model replacing the 9.7” for $649. The larger display on the smaller model allows for a full size on screen keyboard and distances itself from the consumer model. Like pretty much everything else, you can get your hands on them now. Rumors of Apple’s competitor to the Amazon Echo and Google Home proved to be true in the form of the Apple HomePod. As expected, the HomePod is based around Apple Music, Siri, and HomeKit functionality. In both price and feature set, this a more high end device. The HomePod features a 7 tweeter array with custom woofer for 360° sound. For listening, there is a similar array of 6 microphones. Apple is targeting at those who want the high end sound of a Sonos system with the functionality of an Echo. Basically if you’ve used one of those or Siri at all, you know how to use a HomePod, the big difference is security. Apple doesn’t monetize data, so they submit yours anonymously. To accomplish this, its smart. Really smart. 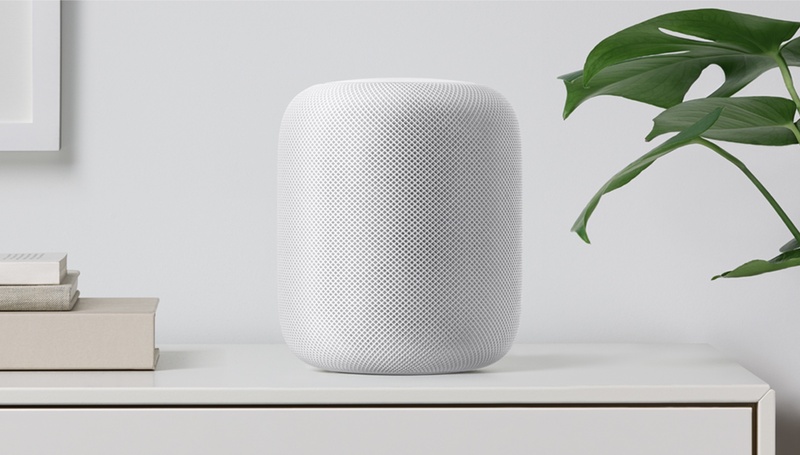 HomePod is able to sense the room and its position in it then modify its sound output to give optimal sound for the room. Its even able to work with other HomePods to optimize sound. To achieve this, its based around the same A8 chip that you find in older iPhones and the AppleTV. I hinted at a premium price, I wasn’t joking. At $349, its double of the price of an Echo. It’ll ship in December.